It's no secret that we love to go camping and go every Summer. 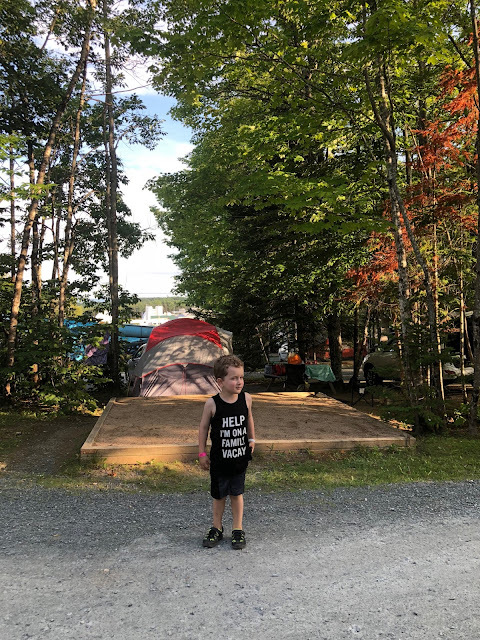 Yes, it may not always be in the woods (we really enjoy provincial campgrounds), but it's a family tradition we value and plan to continue for years to come. 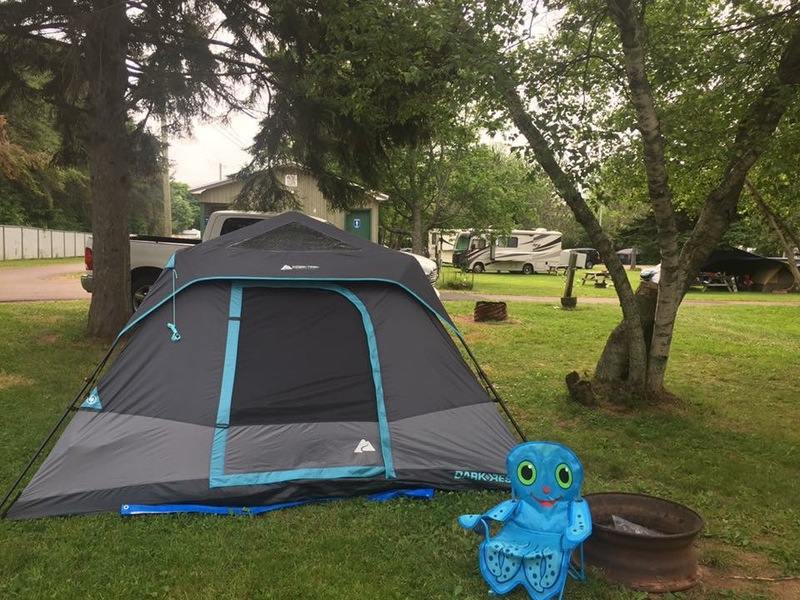 It's important for children to see different ways of doing things, and camping is a great way to teach valuable life skills while still having fun. This is probably my favorite camping benefit. We love to travel, but at this point in our lives we don't have the means to fly to exotic destinations or spend a week in a hotel once or twice a year. Most basic campgrounds we've been to charge around $30-40 a night. The campgrounds with more amenities will charge more, but it's still going to be a lot less expensive than a hotel. Camping is a great way to play tourist in new destinations without breaking the bank. We are very tradition based people, so we tend to gravitate to the same spots every year, but one of my goals in the next couple of years is to travel more and camp in new places. There's nothing better than watching our son play pretend among the trees (and up the trees) on our camping trips. Watching him run along the beach, talking to hermit crabs and chasing seagulls is pretty great too. There's a certain calmness and peace to not hearing "mommmmm can you put another show on" or " mama, my Netflix is frozen" every 30 minutes. The only technology we tend to take on camping trips is our phones, and maybe a radio. If we stay in a cabin with a TV, we don't watch it until the evening. I think the most important thing for parents to know about this is, fresh air will KNOCK your kids out at the end of the day. After a full day of sight seeing, beach combing, hiking, or swimming, your kids will struggle to make it through supper without nodding off. There's also nothing more refreshing than being in nature! Kids need to experience the smell of pine trees and fresh earth once in a while. It's also fun to spot different animals that you wouldn't normally see at home. Like I mentioned above, family traditions are SO important to us! We look forward to Summer every year because we know it will bring us back to our favorite places once again. As a kid, I really enjoyed taking off with my parents for a couple weeks of camping at the beach. My dad took me to Shediac every year (and other places in the Maritimes), and my mom took me on camping road trips in the States. I always felt sad for my friends who didn't go anywhere all Summer, so it was really important for me to keep the tradition alive with my own family. 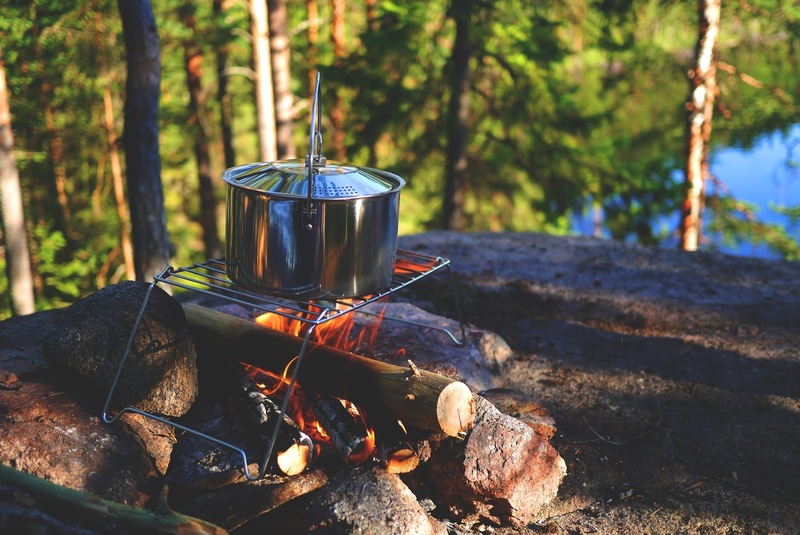 Camping trips are also the BEST for bonding with friends and family. I can't count the amount of amazing, life changing conversations I've had around a campfire. It makes me so nostalgic thinking about when I was 20 and my friends and I went camping on our own for the first time. I can remember every talk we had that weekend. My parents set the foundation for those traditions and instilled my love of road trips and camping. My husband, family and I were also on a camping trip when we told my mom I was pregnant with Mason, and I was on a different camping trip sitting around a campfire when I found out I got my dream writing job. There's something magical about crackling campfires, kids running around with glowsticks & sparklers, and sleeping under the stars. These traditions and experiences are so important, and the memories will last a lifetime! Share this post with your friends who love camping, AND those who need a little camping in their lives.